Fender 5e3 style chassis with panel. 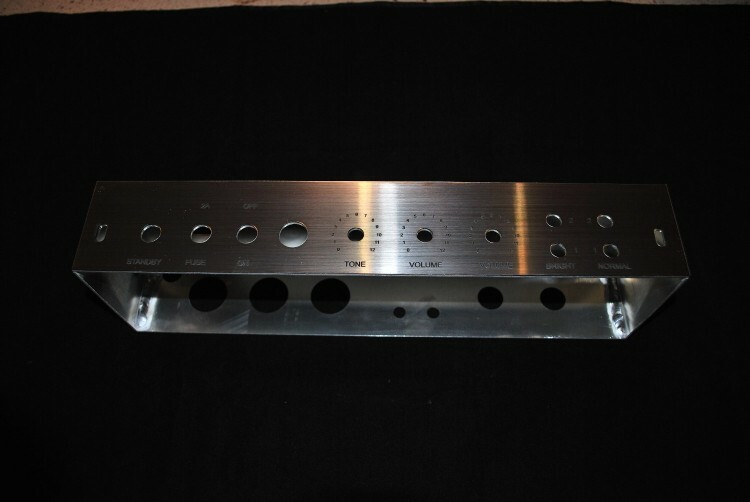 This is a fender 5e3 style chassis and faceplate combo. Chassis measures 14.5" long by 2 5/8" tall by 4 1/8" deep. 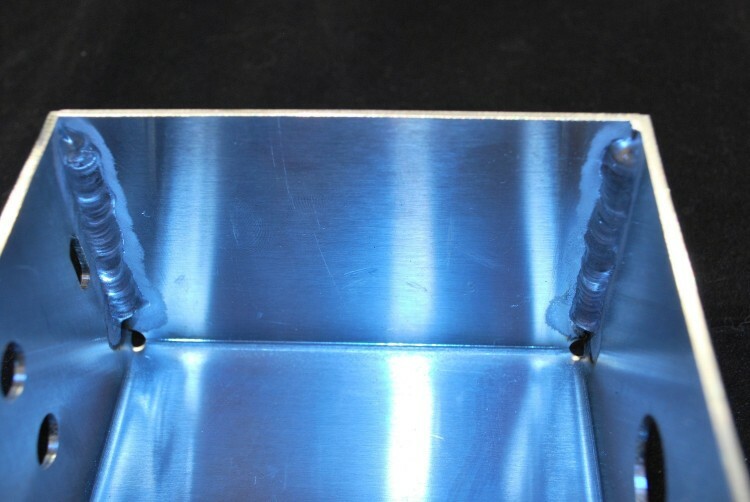 Chassis is made from 5052 .063" aluminum and is fully TIG welded on all four corners. Transformer cutout measures 2.2" by 1.8" and will fit the classic tone power transformer 40-18019. Rear cutouts are set up with (3) 1 3/16" belton tube sockets and (3) 3/4" preamp sockets. 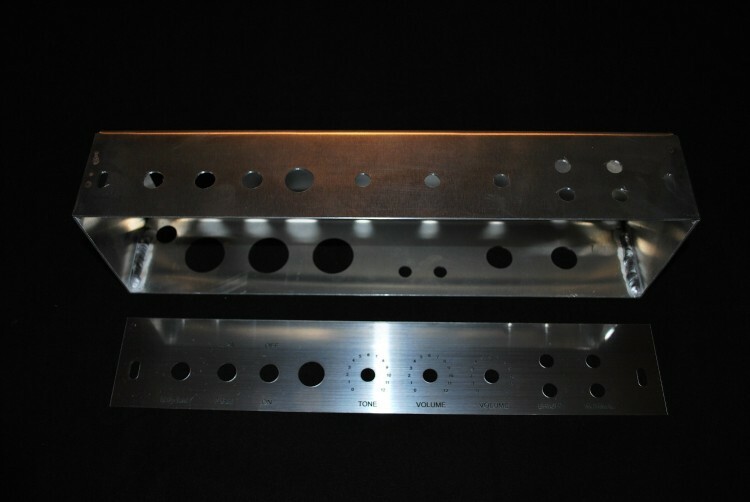 All the small holes are left out so that the builder can customize the component board and other accessories without having extra holes scattered around the chassis. Front panel is 1/32" laser engraved acrylic in a brushed silver finish. Custom options are available. Please contact me for options and shipping rates.